Is there life in the universe beyond our own Solar System? Maybe ... we don't know. It could take many forms, of course, but we would recognize most easily life which resembled life on Earth: creatures which walk, or swim, or fly, on or near the surface of a terrestrial planet. The search for such "ordinary" extraterrestial beings becomes in part the search for "ordinary" Earth-like planets on which they might live. You've probably heard of "SETI" -- the Search for ExtraTerrestial Life -- but what about "SESP" -- the Search for ExtraSolar Planets? There are at least five techniques astronomers have tried to find planets around other stars. Three of them -- and maybe a fourth -- have succeeded! The simplest way to find planets around other stars is simply to LOOK for them: point a big telescope at a nearby star and see if there are any faint points of light around the star. Unfortunately, the difference in brightness between even a feeble star and even a giant planet is very, very, very large. In the visible part of the spectrum, for example, Jupiter is about 8 orders of magnitude fainter than the Sun, and the Earth about 8.5. Now, there are tricks one can play to reduce the amount of scattered light. By placing bars, disks, or other opaque objects in the optical path from telescope to camera, one can block most of a star's light. Below is a picture of the coronagraph mask on the STIS camera aboard the Hubble Space Telescope. If one points the telescope just right, then the star will fall behind the bar, revealing faint objects close to the star. This was one of the first techniques to be used in the search for extrasolar planets. It's pretty simple: one takes pictures of a nearby star over and over and over again, for a decade or more. Many nearby stars will slowly drift relative to more distant stars, due to the combination of their own motion through space and the Sun's motion, too. 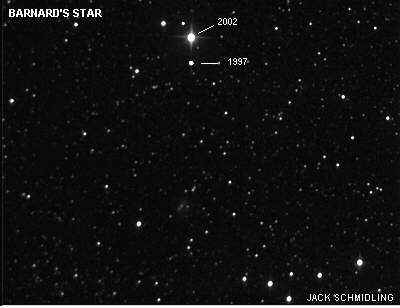 Barnard's Star, for example, moves about 10 arcseconds per year, or about one degree every 360 years. He interpreted these wobbles as small motions of the star caused by the gravitational attraction of two planets orbiting around it. Clearly, the method works best when the wobbles in the star's motion are large, which in turn implies that the planet's orbit is large. Large orbits mean long periods, so one must be patient to use this method. In addition, measuring the shift in POSITION of a star isn't easy, and it gets harder as one examines more distant stars. The size of the apparent shift in position decreases with distance: a star twice as far away will appear to wobble half as much. We can apply this technique only to nearby stars. Unfortunately, further measurements of Barnard's Star showed that the wobbles van de Kamp had measured didn't repeat. It seems that he was pushing his instrument as far as it would go, and a little farther: his measurements were probably just random noise. At the moment, no planets have been detected by this technique, although many low-mass binary stars have been found. 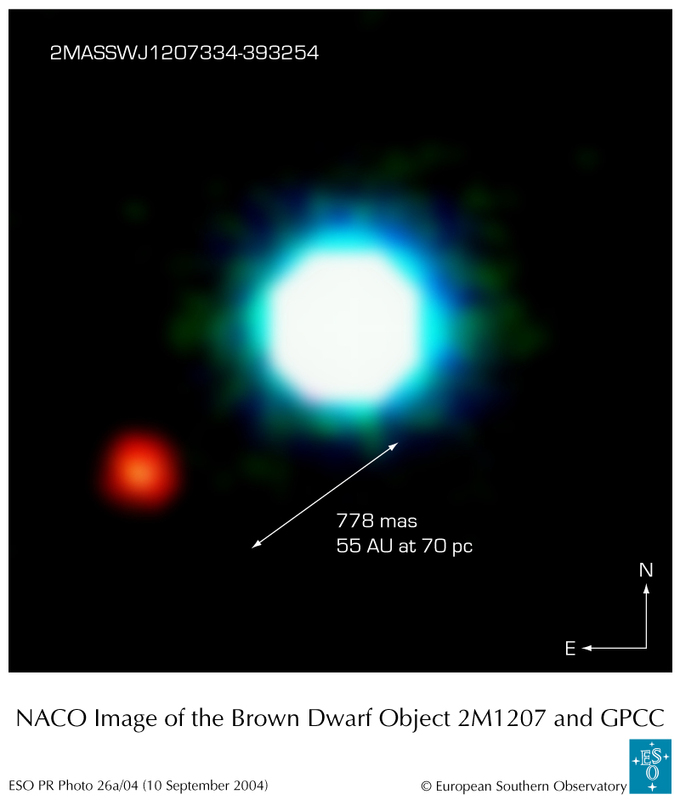 Astronomers occasionally found companion stars which were completely invisible by this method. But no one had used it to look for planets, because the size of the shifts in wavelength would be very, very small ... too small to measure. About a decade ago, as radio astronomer Alexander Wolszczan studied a pulsar, he noticed a peculiar periodic shift in the arrival times of its pulses. He was able to make VERY accurate measurements of the pulse times, deriving radial velocities of the pulsar which were MUCH more precise than one could do with ordinary spectrographs and ordinary stars. Note the units of time on the graph below. The shifts in the arrival times indicated that there were several planets going around the pulsar. After several more years of observations, we have settled on three planets, all much closer to their pulsar than the Earth is to our Sun. Spurred by this discovery, several groups of astronomers decided to build better spectrographs, capable of detecting the tiny shifts in wavelength which planets might cause. The size of the radial velocity variations was about 60 meters per second. it's a lot easier to see if it occurs over a week or two. If the planet's orbit is five years long -- like Jupiter's -- then one will have to continue measuring the star's radial velocity for FIVE YEARS in order to see a single cycle. Most astronomers would want to see two or three complete cycles before they made any announcements, so they would have to wait FIFTEEN YEARS. The radial-velocity technique works best for massive stars in small orbits. It's the most productive method we have to find planets around other stars, accounting for over ninety percent of all discoveries so far. If the orbit of a planet around another star happens to be edge-on, then once during every revolution, the planet will pass in front of its star in what is called a transit. 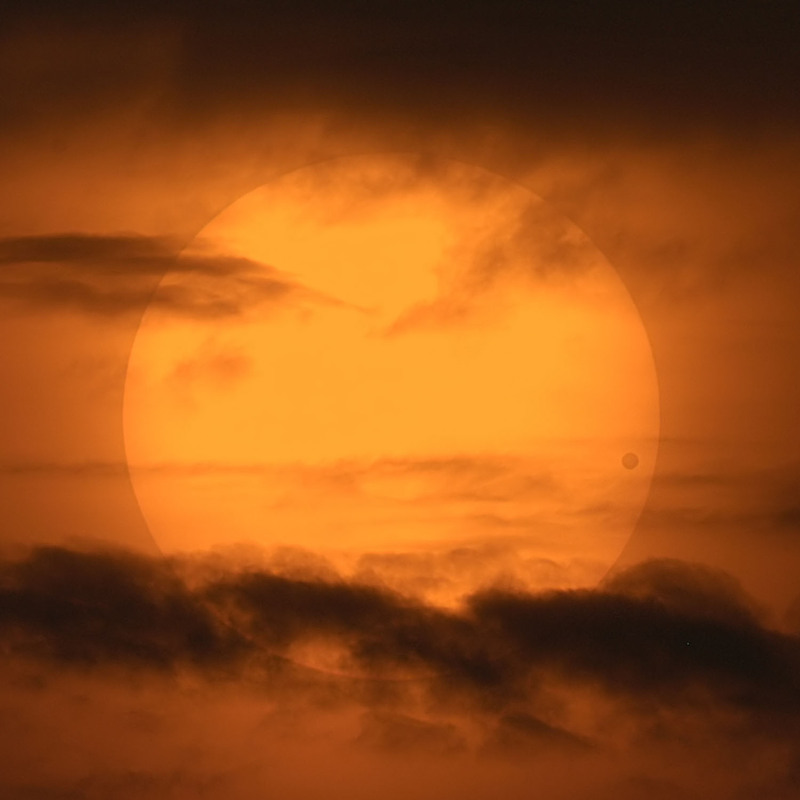 You can see from this picture of the transit of Venus across the face of the Sun, taken in June, 2004, that terrestrial planets won't produce much of an effect (especially since the relative size of Venus is somewhat magnified due to its proximity to Earth). Obviously, this technique works best for finding big planets. Jupiter cause if it passed in front? Note the size of the effect: less than two percent. It is difficult to measure such a small dip, but not impossible. 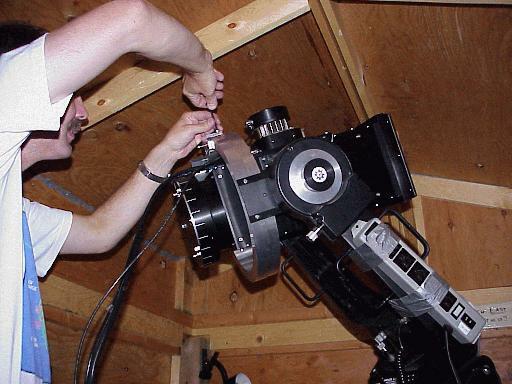 In fact, we've detected a transit by another extra-solar planet with the equipment here at the RIT Observatory. Several groups are now using similar small telescopes to look over and over and over and over and OVER again at the same place in the sky. They hope to find a little dip in the light from a star; but, in order to confirm that it really is due to a planet, they must keep watching to see a second dip ... and then a third ... and a fourth, all with the same period between. It's a tough business, but probably the cheapest way to find a planet around another star. Is the planet bigger or smaller than Jupiter? You know that gravity affects the motion of ordinary objects: the gravitational force of the Sun, for example, causes the Earth to move around it in a roughly circular orbit. It turns out that gravity can also alter the path of a beam of light. This gravitational lensing is very rare: it requires that the source of light, massive lensing object, and observer all be lined up nearly perfectly. However, astronomers have been searching for these very rare situations for a decade now; there are many tens of systems known, and new ones discovered every year. Note the regular, symmetric form of this light curve caused by gravitational lensing. 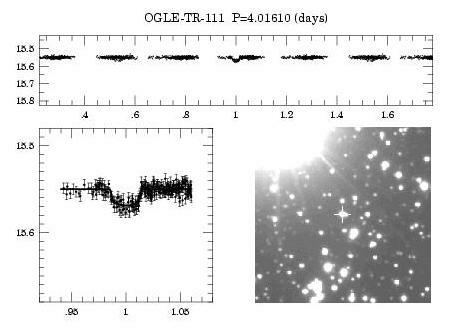 What could cause those two sharp "spikes" in the light curve? Possible -- a planet! If one combines the gravitational effects of a star PLUS a planet, arranged just right, one can explain the two sharp, short increases in brightness. Method                    works best for                found any planets yet? The Extrasolar Planets Encyclopedia is a good starting point for any study of other planetary systems. The California & Carnegie Planet Search is one of the most successful groups using the radial-velocity method. 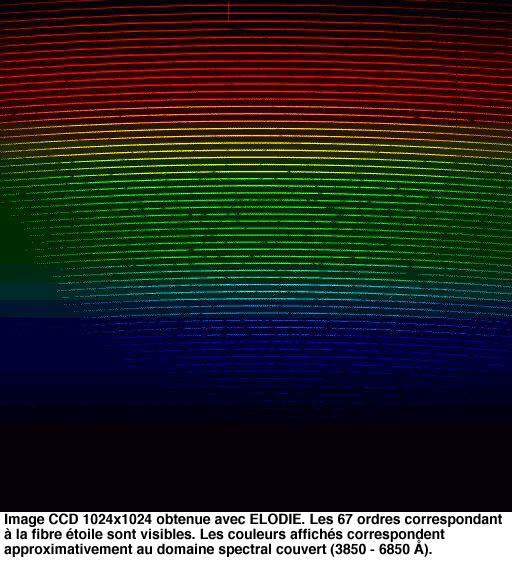 A technical paper describing a coronagraph on HST. 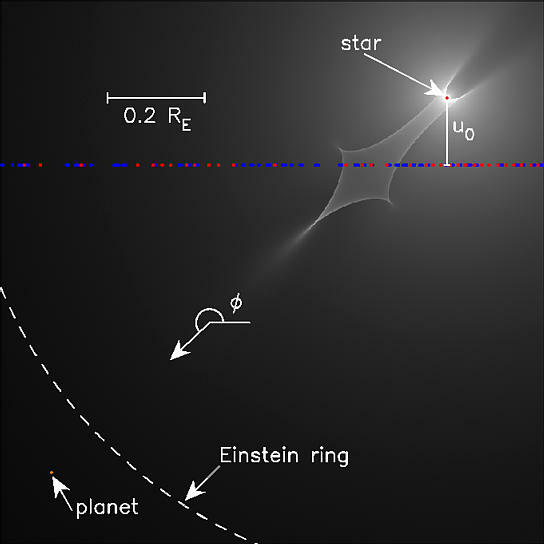 The PSU Pulsar Group was the first to find solid evidence for planets around another star. They use a variant of the radial-velocity technique. Lots of information on the planet around 51 Peg which was the first to be discovered via radial velocity variations. 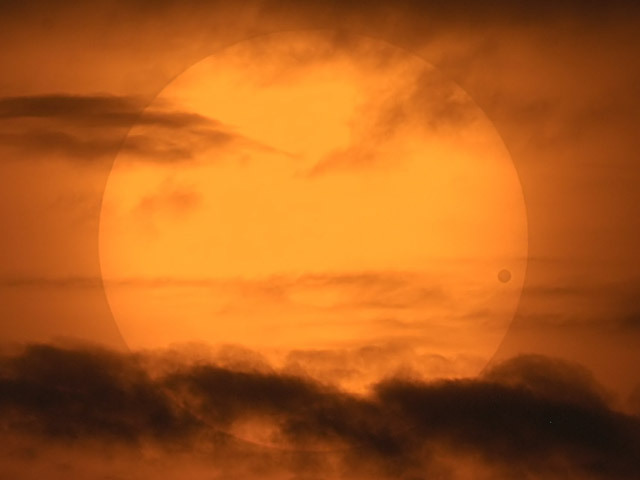 STARE is one of the cheapest efforts, yet the first to detect a planetary transit. The Search for the Extrasolar Planets: A Brief History of the Search, the Findings and the Future Implications from the University of Arizona. 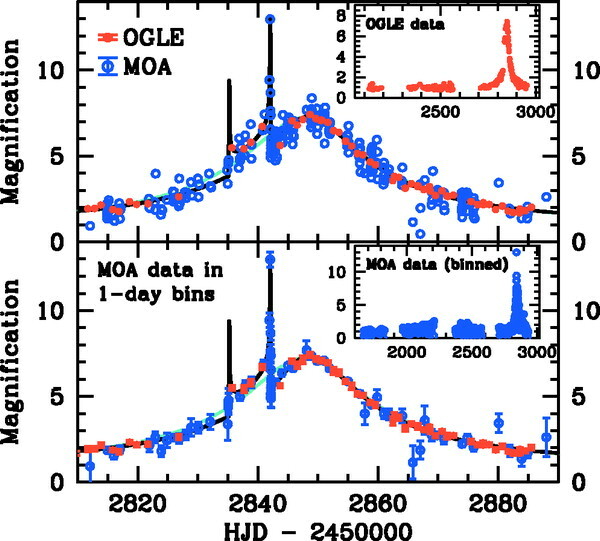 OGLE and MOA both study gravitational lensing events.